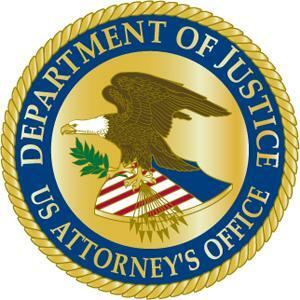 U.S. Attorney Joseph D. Brown announced today that nine individuals have been arrested following a lengthy investigation into drug trafficking in the Eastern District of Texas. Neopholis Dontray Scales, 33, of Clarksville. If convicted, they each face from 10 years to life in federal prison. The operation today involved approximately 100 law enforcement officers from the following agencies: Texas Department of Public Safety, including the Special Response Team, Special Weapons and Tactics Team, Criminal Investigation Division, Aircraft Operations Division, Highway Patrol Division, Victim Services, and Communications Services; Red River County Sheriff’s Office; Clarksville Police Department; Mt. Pleasant Police Department SWAT Team; Texas Parks and Wildlife; Federal Bureau of Investigation; United States Marshals Service; and Texas Child Protective Services. In addition to the nine arrests, law enforcement officers seized illegal drugs and at least one firearm. This case is being investigated by the Texas Department of Public Safety – Criminal Investigation Division and the Red River County Sheriff’s Office and prosecuted by Assistant U.S. Attorney Jonathan R. Hornok.